Lee Smolin is head of the Perimeter Institute in Toronto. 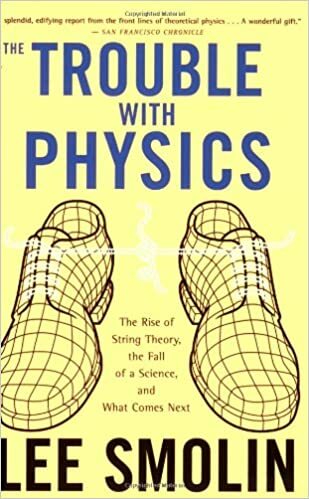 He is a staunch opponent of String Theory, and published a memorable book, The Trouble With Physics: The Rise of String Theory, The Fall of a Science, and What Comes Next (2007). He proposes that “quantum loop gravity” is the best replacement for String Theory, which will unite General Relativity with the Standard Model. Needless to say, the two groups are not on speaking terms. Along the way, Lee has become very skeptical of the Newtonian concepts of time and causality. Like Sabine, he thinks that progress in physics has stalled, but unlike Sabine he thinks it is the Newtonian metaphysics that caused it. In Newton’s universe, the two things that exist a priori are space & time. Einstein’s Special Relativity (SR) theory characterized the universe as a lattice of meter sticks with clocks at every intersection. But then Einstein showed how it was possible to “squash” space by going very fast at nearly the speed-of-light, which simultaneously “stretched” time. Taylor & Wheeler, in a very popular SR textbook, argue that space = speed-of-light * time, and the clocks are really just a fourth spatial dimension. T&W used an analogy of kingdom where maps used kilometers for North-South directions and miles for East-West directions, and no one realized that kilometers and miles could be inter-converted. Then all these squash-stretch transformations (known as Lorentz transforms) are really nothing more than rotations in 4-dimensions of space-time. Special Relativity just turned into a map-reading exercise. But this Einstein view made it seem that time “just exists” the way a meter stick “just exists”. What happens tomorrow is already there, along with what happened yesterday. This is also known as “the block universe” and seemingly removes all causality. Nothing in the past determines the future. But if there is no causality, then time doesn’t flow, ethics doesn’t have choices, and quantum wave functions don’t collapse. In short, there doesn’t seem to be a way to reconcile Einstein’s view of space-time & gravity with either quantum mechanics/dynamics or ethics or any observational science. This is the nub of the greatest mystery of modern physics: the incompatibility of gravity with the other four forces. 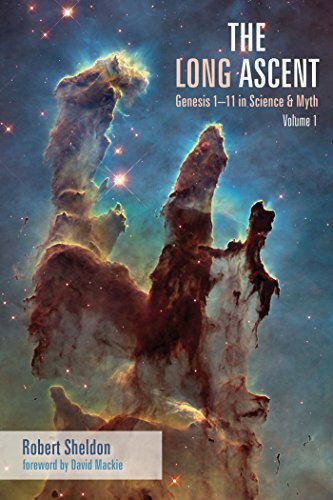 Peter Woit, who—along with Sabine Hossenfelder—is my go-to-guy for no-BS theoretical physics analysis—reviewed the book that explains his “no-space” hypothesis back in 2015. He finds Singular Universe less than compelling. As far as I can tell, Smolin sees this as a Darwinian solution to The Multiverse Problem. I think I’d call it “The Multiphysics Solution”. I suppose this falls under the dictum, “Fight fire with fire.” My own estimation is “garbage in, garbage out.” Which is about as far as I got with his book as well as his SA essay. See also: Quadrillion possible ways to rescue string theory. Rob Sheldon comments.